The Barbara Biber Convocation is the centerpiece of the Bank Street Graduate School of Education orientation and welcome for incoming graduate students. The event provides an opportunity for the College community to engage with seminal thinkers on leading issues in education. The esteemed lecture honors the contributions of Barbara Biber to both Bank Street and the wider educational community. Dr. Biber was a central figure shaping the institution that evolved from the Bureau of Educational Experiments to become Bank Street College. A keen observer of children and classrooms who immersed herself in the phenomena of children’s’ and teachers’ lives, her writings achieved a rare depth of insight and conceptual elegance. As a researcher and scholar, she continuously reexamined and refined her thinking. This lecture memorializes her progressive legacy. Alexander is a poet, educator, and New York Times best-selling author of 25 books, including Rebound, the follow up to his Newbery medal–winning middle-grade novel The Crossover. 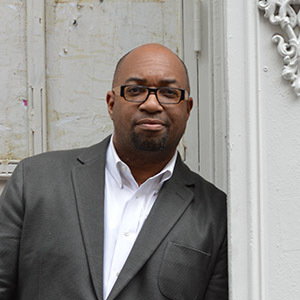 A regular contributor to NPR, Alexander is the recipient of several awards, including the Coretta Scott King Author Honor, the Lee Bennett Hopkins Poetry Prize, and three NAACP Image Award nominations. He believes poetry can change the world and he uses it to inspire and empower young people across the globe through his writing workshops and cultural exchange delegations in Brazil, Italy, and Singapore, and as co-founder of the international literacy program LEAP for Ghana. As the 2018 NEA Read Across America Ambassador, Alexander is the host and producer of the literary variety and talk show Bookish. 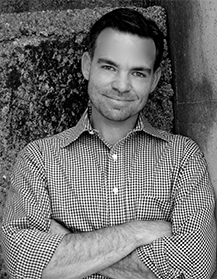 He is the founding editor of VERSIFY, an imprint of Houghton Mifflin Harcourt Books for Young Readers. Dr. David J. Connor is a professor of Special Education/Learning Disabilities at the City University of New York, Hunter College. His nearly 30-year career has included a variety of work in the field of education. Roles such as classroom teacher, tutor, teacher coach, regional professional development specialist, adjunct instructor, and full time professor shape his teaching and scholarship in the areas of social, cultural, and historical understandings of disability, learning disabilities, inclusive education, and kindergarten through college classroom pedagogy. Quite prolific, he has authored/co-authored over eighty publications in the form of peer-reviewed journals and book chapters, in addition to seven books. As a professor, he teaches courses on Inclusive Education; Methods of Reading; Methods of Writing, Mathematics, and Organization; and Practicum. He is also a faculty member at large of the Urban Education doctoral program at CUNY’s Graduate Center, in which he teaches Introduction to Doctoral Studies. 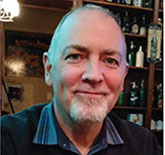 Professor Connor received a BA with Honors in Literature and Film from the University of East Anglia in England; an MS in Special Education (Learning Disabilities) at Hunter College; an MA in Creative Writing and Literature from City College, New York; and an EdD in Curriculum and Teaching (Learning Disabilities) from Teachers College, Columbia University. Dr. Travis Wright is an Assistant Professor of Childhood Studies, Multicultural Education, and Teacher Preparation at UW-Madison in the Department of Curriculum and Instruction and is currently on leave to serve as Deputy Chief, Early Childhood Education, for DC Public Schools. Dr. Wright holds a BA in College Scholars, Community: Identity, Development, and Change, from University of Tennessee; an MEd in Human Development and Psychology, Risk and Prevention/Gender Studies from Harvard University; an EdD in Human Development and Psychology, Risk and Prevention from Harvard University; and a Certificate of Advanced Study in School Mental Health Counseling from Harvard University. Herbert P. Ginsburg, PhD, is the Jacob H. Schiff Professor of Psychology and Education at Teachers College, Columbia University. He has conducted basic research on the development of mathematical thinking, with particular attention to young children, disadvantaged populations, and cultural similarities and differences. He has drawn on cognitive developmental psychology to develop a mathematics curriculum (Big Math for Little Kids), storybooks for young children, and tests of mathematical thinking. With colleagues, he is currently creating a model course that draws heavily on video-based clinical interviews to help undergraduate and graduate students gain insight into children’s mathematical thinking and how it can serve as the foundation for early mathematics education. Again with colleagues, he is designing computer software, MathemAntics, and interactive storybooks to foster young children’s mathematics learning. 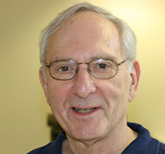 Dr. Ginsburg holds a BA from Harvard University and his MS and PhD from the University of North Carolina, Chapel Hill. 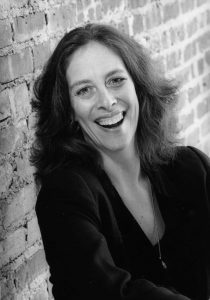 Michelle Fine is Distinguished Professor of Social Psychology, Women’s Studies, and Urban Education at the Graduate Center, City University of New York (CUNY). She is a highly influential educator and activist whose work addresses questions of social injustice that sit at the intersection of public policy and social research, particularly with respect to youth in schools and criminal justice. Ms. Fine has authored, co-authored, or edited more than 20 books, 70 chapters in key national and international volumes, and 80 journal articles. Her most recent book, with Michael Fabricant, is The Changing Politics of Education: Privatization and the Dispossessed Lives of Those Left Behind. Michelle is a recognized pioneer in participatory action research; her scholarship and activism address critical issues of what she calls “circuits of dispossession and resistance,” documenting how youth contend with, are affected by, and resist inequities and the rising “punishment paradigm” in prisons, schools, communities, and social movements. Her activism includes serving often as expert witness in gender, race, and education discrimination cases, including test-based graduation requirements in urban districts. Most recently, Fine has been intensely involved with Montclair [NJ] Cares About Schools (MCAS), an activist group of parents working with educators and labor and civil rights groups in a struggle over corporate reform and testing in a racially integrated suburban school district. Recognized as one of the finest classical dancers of our time, Jacques d’Amboise now leads the field of arts education with a model program that exposes thousands of school children to the magic and discipline of dance. 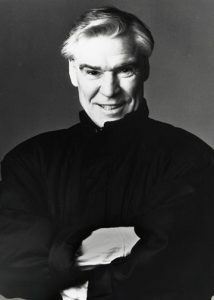 In 1976, while still a principal dancer with New York City Ballet, Mr. d’Amboise founded National Dance Institute (NDI) in the belief that the arts have a unique power to engage and motivate individuals towards excellence. His contributions in arts education have earned him numerous awards and honors including: a 1990 MacArthur Fellowship; receipt of a Kennedy Center Honors award (1995); and induction into The American Academy of Arts & Sciences (2007). He holds Honorary Doctorates from twelve colleges, including Bank Street College of Education. 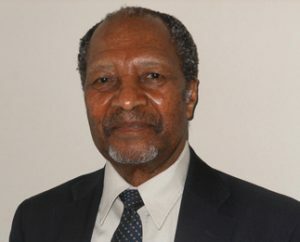 Professor Hubert Dyasi, PhD, is a highly acclaimed science education specialist who has successfully championed the centrality of science inquiry in science education at all educational levels in New York and nationally. In addition to serving on advisory boards of several leading national science education development institutions, he is a valued consultant to an international program on inquiry-based science education conducted under the auspices of a worldwide network of academies of science and engineering. 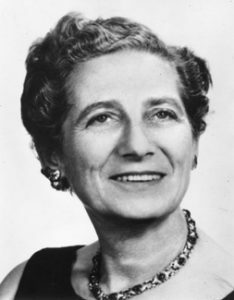 Dr. Barbara Biber (1903–1993), who was born in Brooklyn, first attended Barnard College and then graduated from the University of Chicago. She received a PhD in psychology in 1942 from Columbia University. Barbara Biber joined the staff of the Bureau of Educational Experiments in 1928 and became one of its key members, serving on the Working Council and the Executive Committee and in numerous other policy-making and administrative capacities. She became chair of the Studies and Publications Committee, precursor of the Research Division, in 1933, and served as chair of the Research Division until 1963. That year she was named Distinguished Research scholar at Bank Street and continued her research in mental health and child development. At the end of the 1960s Dr. Biber began devising the basic principles for federally financed day care and Head Start programs. At the age of 80, she completed Early Education and Psychological Development (Yale University Press, 1984). She also was co-author of two books reporting major research studies: Child Life in School (1942) and The Psychological Impact of School Experience (1969). Biber continued to play a role at Bank Street until her death in 1993.